Is the iPad’s reign as king of the tablets finally coming to an end, or is there more to the story? Gartner has released its yearly tablet sales figures. Have Android tablet sales finally surpassed the iPad? Gartner has released its yearly look at tablet sales, compiling the figures for 2013 and drawing a surprising conclusion. The dominant reign of Apple’s cadre of iPads might finally be coming to an end, or is it? 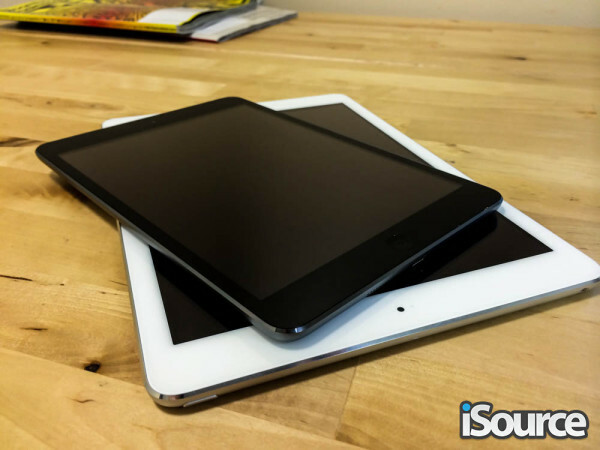 In 2013, iOS-based tablet sales topped out at around 70 million globally, a number that actually represents a year-over-year growth in sales from 61.5 million in 2012. Still, Apple managed to slip 16.8 percent in terms of total market share as Android-based devices saw huge growth, more than doubling year-over-year units sold to 121 million. Tablets relying on Google’s mobile platform accounted for a majority 61.9 percent of all slates sold in 2013. Apple saw particularly strong growth in the fourth quarter of last year following the announcement of a new iPad mini with Retina display and the well-received iPad Air, which consumers flocked to in droves during the holiday shopping season. Those sales helped Apple to retain its spot as the top individual vendor of tablets, though its wide lead has begun to shrink. Samsung is nipping at the company’s heels with a share that has grown to nearly 20 percent compared to Apple’s 36 percent. So is Apple losing its grip on the tablet market? Based on the figures, the answer is somewhere in between. With many companies turning to Android to release low-cost tablets at an increasing level of quality, it’s almost impossible for Apple to keep up with the volume (let alone compete on price directly). When it comes to manufacturers and not operating systems, however, Apple is still top dog, showing the iPad brand’s reputation hasn’t exactly suffered as a result. Overall, yearly tablet sales grew 68 percent in 2013, settling at nearly 200 million units sold. Gartner predicts, however, that the segment could soon be impacted by sales of so-called “ultramobile” devices that combine aspects of laptop PCs and tablets to create a portable yet uncompromising experience. Apple could address this category with the rumored launch of a 12.9-inch “iPad Pro” later this year, though some believe the device is more likely for a 2015 launch.